Credit Criteria: We look for a credit score of 600 or higher. We do consider other compensating factors such as stable employment history and/or excellent rental or other credit references for applicants whose score may fall slightly below our guidelines. Application Fee: The application fee is $30.00 per applicant and is due at time of application. The application fee includes a credit report, criminal report, and employment verification. Anyone age 18 or over must complete an application and be listed on the lease. Security Deposit: The security deposit is equal to one month’s rent and is due at the time of move-in. Pet Policy for Pet Friendly Properties: A $250 non-refundable pet fee will be charged for each pet. This fee does not cover pet damages to the property. Any property damage caused by the pet will be the tenant’s responsibility. We require proof of current vaccination records as well as the veterinarian contact information. We do not allow the following breeds: Akita, Cane Corso, Chow, Doberman Pincher, Mastiff, Pit Bull, Presa Canario, Rottweiler, Sharpei, Wolf Hybrid, unless you have proper documentation that the pet is a service animal. To apply for a rental property, please click the link below to be taken to the application page, there you will need to find the property you wish to apply for and hit the Apply Now button on the right. Have a question? Give us a call at 336-368-9990, or you can click here for more options to call or email and we will contact you right away. He walked me thru the process of selling my home and land in a very professional manner. I would definately recommend him to anyone selling their home or property, and won't hesitate to call on him again. Our home was sold in 30 days on the recommendations on how to market it by Bryant. Bryant did a great job getting our home sold after only 2 days on the market! Very professional and personable. We are very pleased and highly recommend Bryant and Yadkin Valley Real Estate. We would not consider doing business with anyone else for any of our future real estate needs! Yadkin Valley Real Estate, Inc.
Did you know the hottest homes for sale in Yadkin Valley often sell within days of being listed? Don’t miss out! Set up your own custom property alert so you can be notified of the newest homes as they hit the market! Simply click the button below and choose the qualities that you want most in a home and save your search to start getting alerts today! As local Yadkin Valley Real Estate Agents we also have access to homes before they hit the market and can show you more homes and information that are only accessible in the MLS. If you would like to set up a time to go over your real estate needs, please free to contact us at your convenience. There is no obligation and or pressure… we hope to hear from you! 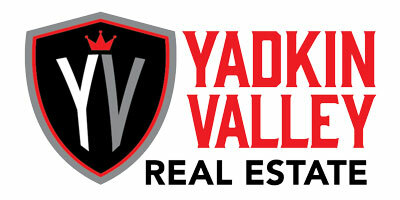 Disclaimer - All Rights Reserved by Yadkin Valley Real Estate, Inc.